Please allow me to introduce myself. I am Rival Gates and I am here to share my passion for Epic Fantasy writing with you. 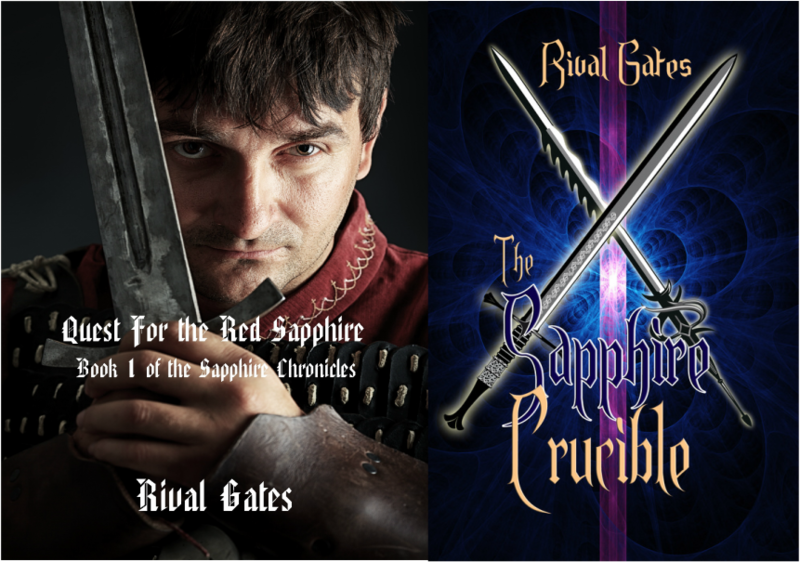 My series called the "Sapphire Chronicles" began with Book 1 "Quest for the Red Sapphire". It continued with the sequel "The Sapphire Crucible". 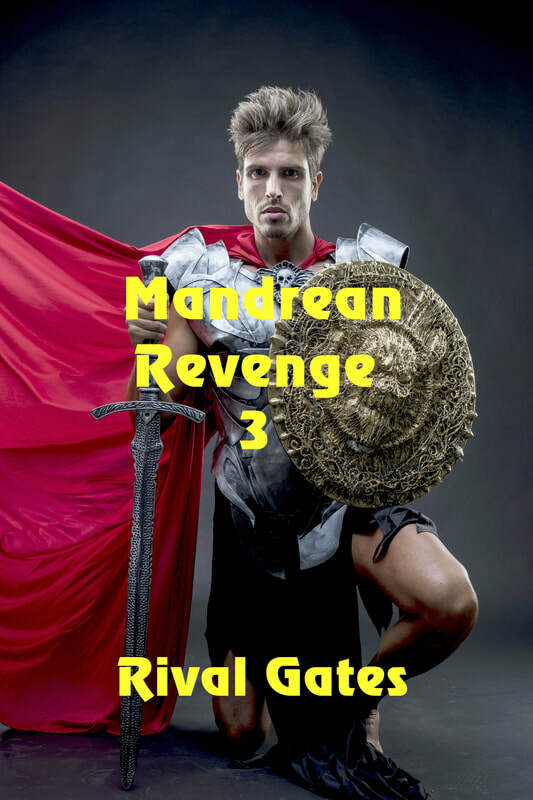 Then the third installment "Mandrean Revenge" was released. Now I bring you the fourth book in the series, "Repercussions Abound." Before I talk about my offerings, let me give you a brief glimpse into my life and what led to this series. I grew up in a wonderful family headed by my father, who was an editor, and my mother who taught in high school. Out of the many great moments growing up, I remember most fondly our after supper talks. We may have been at the dinner table with a pot of tea or on the porch swings but we sat and told stories. At one point or another, everyone in the family would tell some sort of tale. Some were true and others were invented purely for entertainment value. Each person, however, told their story slightly differently. Perhaps the differences were the places where pauses were implanted for affect. Other differences were facial expressions, tone of voice or even something as simple as the order in which the story was told. I was enchanted and learned different traits from my parents, brothers and sister that helped me form my own style. My father always said, "The best writers are the best storytellers." He was the greatest storyteller I have ever heard. I began writing this saga in my early teens and worked on and off for decades. Dad spared no punches in his review of my work and it only made me strive to produce a better product. In 2010 my mother and biggest fan was lost to cancer. At our last meeting she made me swear to finally have my work published so that others could enjoy my stories. That promise was fulfilled with the release of "Quest for the Red Sapphire" by Solstice Publishing. run the lucrative family trading business after his father's disappearance. Only after his mother's murder does he discover his destiny is to be the Master of the Red Sapphire, the most powerful magic any mortal can possess. Together with his wise but mysterious Uncle Anvar and his infuriating cousins Bander and Rander, Linvin must flee the would-be assassins and find the gem before the sinister forces from whom he flees find the stone and take it for a dark purpose. "The Sapphire Crucible" picks up where the first book left off in the quest. The party is taken prisoner by the twisted Lord Mandrean and his Necromancer. They each have their own plans for Linvin and his crew. It is safe to say that neither plan is in the group's best interest. Linvin must find a way to escape, find the Red Sapphire and make it home alive. The task will not be easy. The pair of Mandrean and Necromancer are like nothing Linvin has faced before. Enitre armies will be brought into the chase as the book reaches a climax of epic proportions. If there is to be a victory on either side, the price will be high. The ending is not to be missed. In "Mandrean Revenge", Lord Mandrean seeks to punish Linvin for all the trouble he caused in "Crucible". With the help of Necromancer, the evil emperor sinks to despicable lows and unparalleled evil. Their goal is to force Linvin to return to the empire to face punishment for his crimes against it and them. Linvin is given a no-win-situation and must make the journey to his doom. He will find that even acts of self-sacrifice do not come easily in his world. Now "Repercussions Abound" answers many of the questions left in "Revenge". The story takes a dynamic twist as one character after another has to deal with negative consequences. This is a fun read and has twists you never see coming. It is probably my finest piece of writing. I hope you enjoy it. importantly, I added many instances of my favorite questions as a reader. Nothing grabs hold of me so much as asking the questions, "How are they going to get out of this one? There's no way they will escape this time, is there?" Then the answer comes in a way I never anticipated. That cements a good story for me. It is fianlly available on Amazon.com and Kindle. I hope you enjoy them and the books to follow.